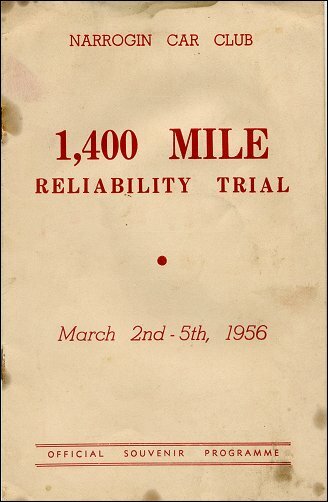 The trials ran from 1955 through to 1958. 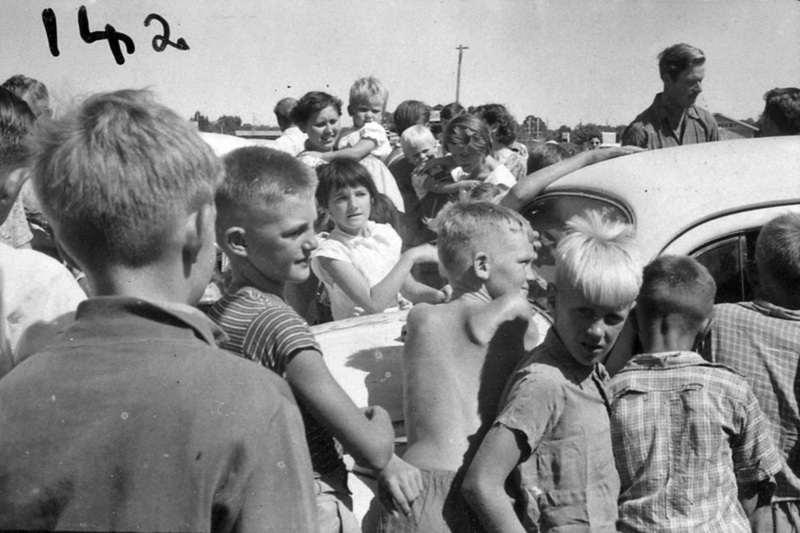 1955 - The residents of Narrogin came out in numbers to see the start and finish of the trial events. Photo: Peter Harrold collection. 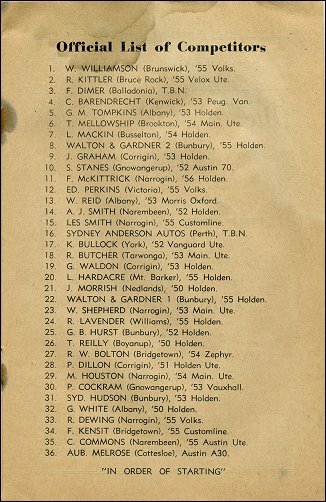 The 1956 Reliability Trial was held over 1,400 miles, Twenty nine cars entered the event with only nine finishing, The eventual winners of the trial were Don Collins and Laurie Hoardacre in a 48 series Holden from Albany. 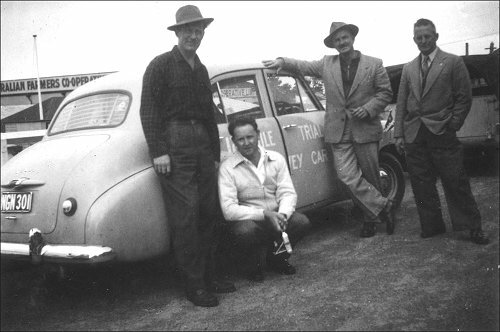 Above: Harry Smith with the survey car and team, Below Harry;s VW dealership. 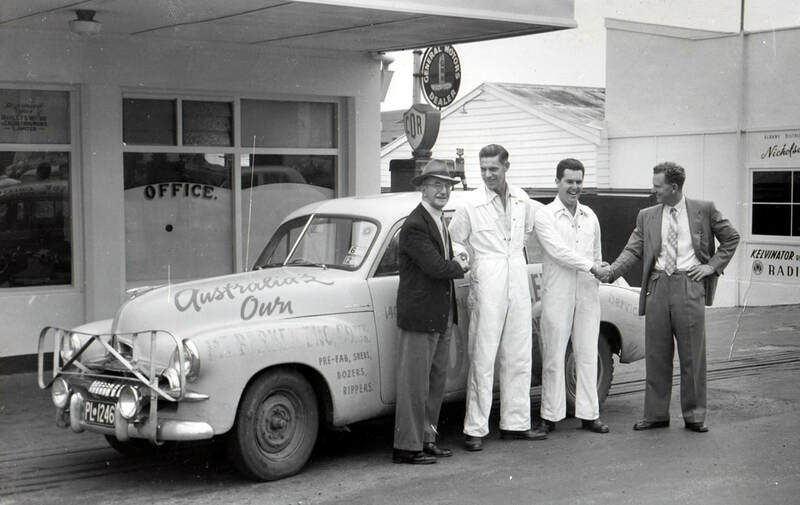 1956 - Pictured outside Manley Motors in Peel Place Albany is George Manley Laurie Hoardacre Don Collins and a Red X sales rep. Photo: Jo Collins collection. 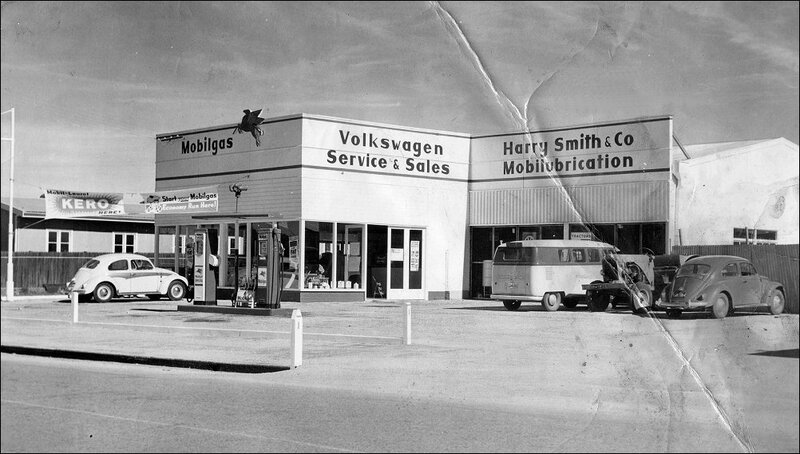 Along with organising his own clubs events in Narrogin, Harry also competed in the fabulous Redex and Mobilgas Around Australia trials in the mid 1950's, often up to 12,000 miles of outback roads, dust, corrugations and floods. 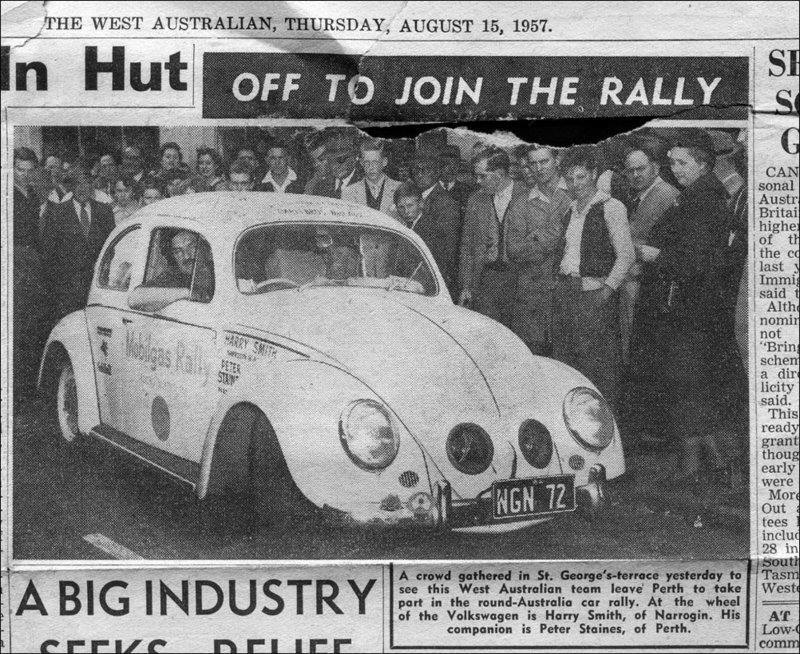 Berry Hanney recalls: Harry Smith had the Volkswagon agency in Narrogin when I went there one day in 1953, Also Harry in a new Volkswagon up at the Narrogin Showgrounds and telling all present that you could not turn a VW over as a lot a Holdens had a habit of doing, He then went into a slide and promptly rolled the car over.